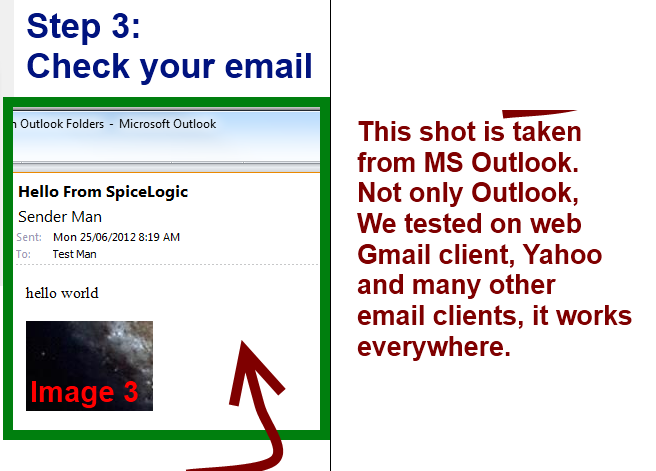 It is a very common need for developers to use this control to build an Email Message Composer application. We thought about your need and added a very good support in this control for such kind of need. 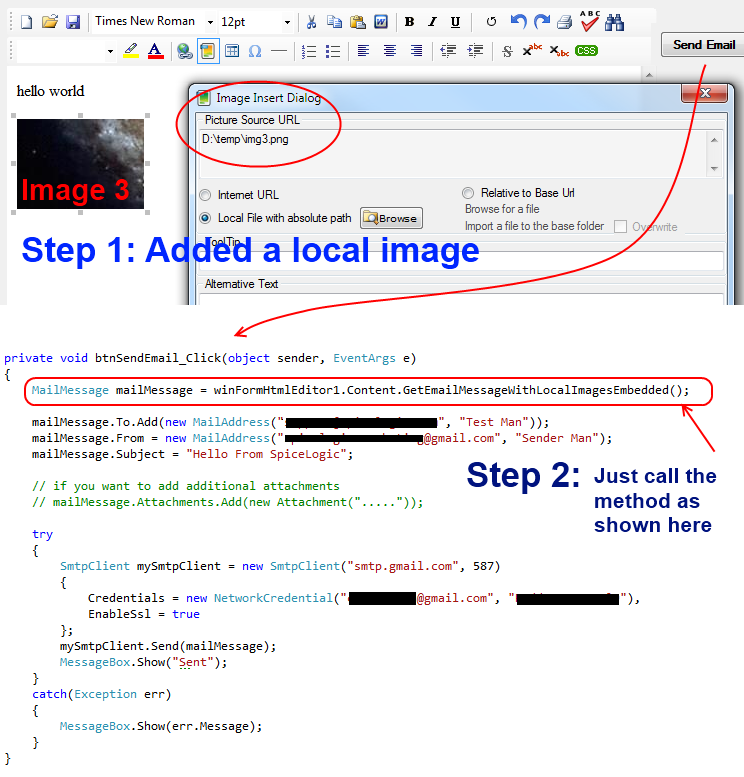 A simple method call will embed all the local images and return .NET MailMessage Object. Just think about it, you do not have to go thru any complicated code writing steps at all. Once you get the MailMessage Object, you can decorate this object with your From Address, To Address, Subject and then, pass this object to your SMTP client. Just simple and clean.